Clean CARFAX. 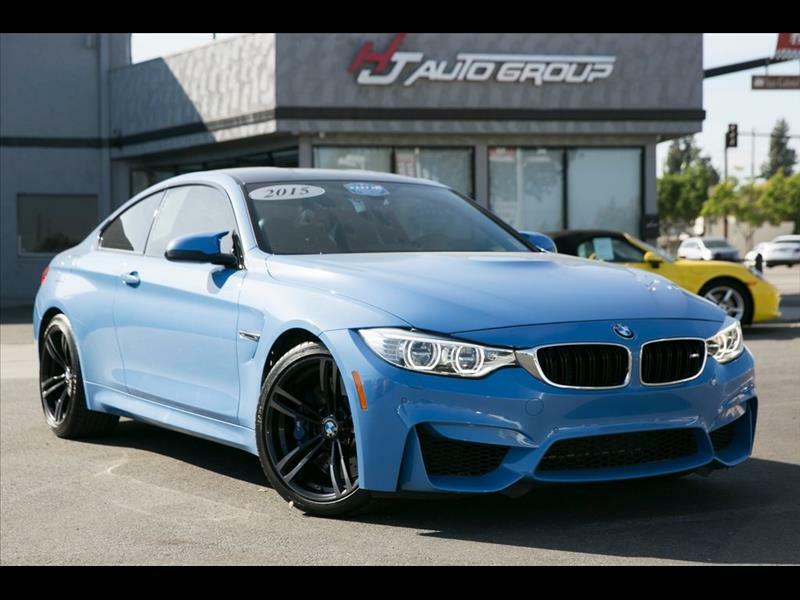 Yas Marina Blue Metallic 2015 BMW M4 RWD 7-Speed M-Double Clutch Automatic 3.0L I6 4-Wheel Disc Brakes, 9 Speakers, ABS brakes, Air Conditioning, AM/FM radio, Automatic temperature control, Brake assist, CD player, Delay-off headlights, Dual front impact airbags, Dual front side impact airbags, DVD-Audio, Electronic Stability Control, Emergency communication system, Four wheel independent suspension, Front anti-roll bar, Front dual zone A/C, Fully automatic headlights, Harman/Kardon Surround Sound System, High intensity discharge headlights: Bi-xenon, Knee airbag, Low tire pressure warning, Memory seat, Navigation System, Occupant sensing airbag, Overhead airbag, Panic alarm, Parking Assistant, Power driver seat, Power steering, Power windows, Radio data system, Radio: AM/FM Audio System, Rear air conditioning, Rear anti-roll bar, Rear window defroster, Rear-View Camera, Remote keyless entry, Security system, Speed control, Speed-sensing steering, Steering wheel mounted audio controls, Traction control. Odometer is 7677 miles below market average!